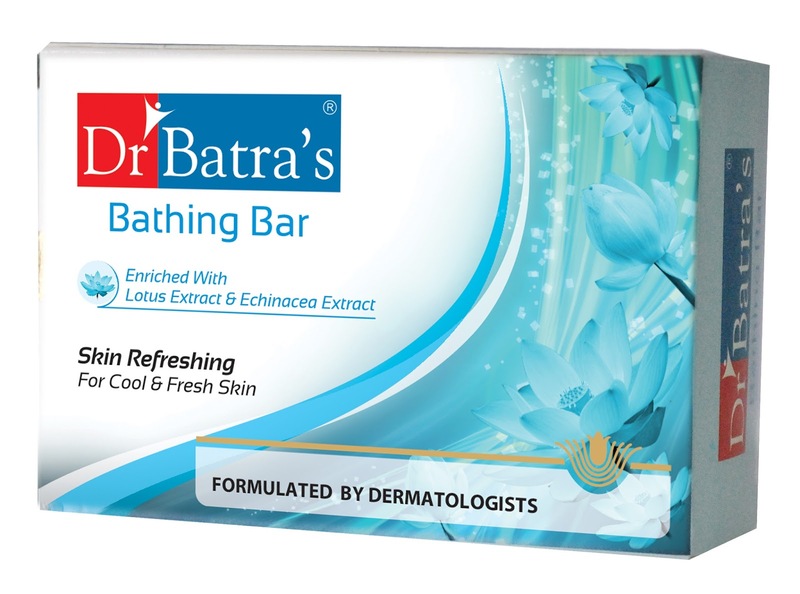 Sriz Beauty Blog: Press Release - Dr Batra’s Healthcare enters Rs 9000 crores bathing bar market in India!!! Press Release - Dr Batra’s Healthcare enters Rs 9000 crores bathing bar market in India!!! · 1) Skin Refreshing Bathing Bar - Enriched with Lotus Extract & Echinacea. Lotus Extracts acts as a skin conditioner. It hydrates & moisturizes the skin making it soft & pampered. 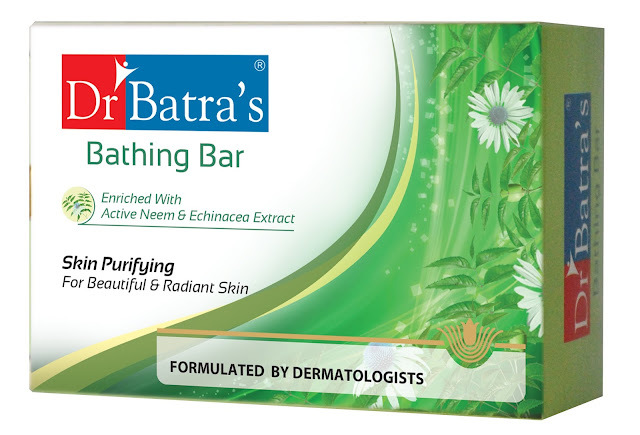 · 2)Skin Purifying Bathing Bar - Enriched with Active neem & Echinace. Active neem reduces pigmentation & dullness, making skin look beautiful & radiant. 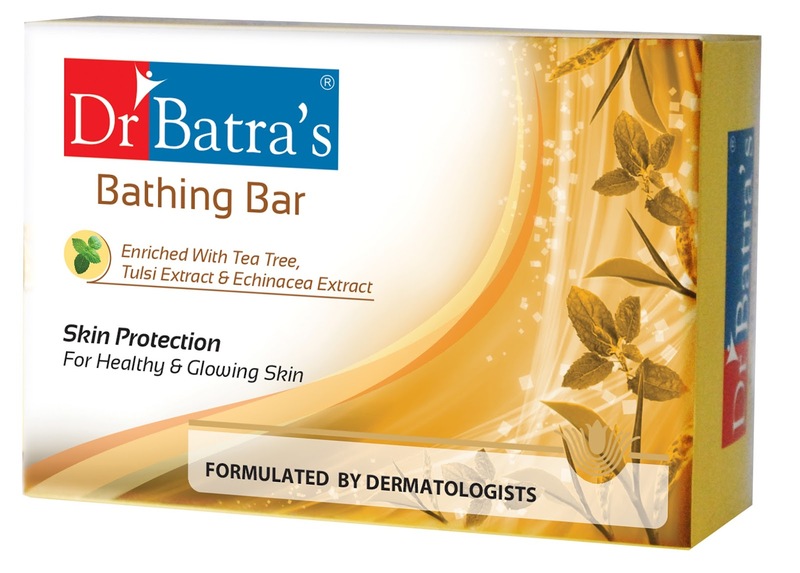 · 3) Skin Protecting Bathing Bar - Encriched with Tea Tree, Tulsi& Echinacea.Tea Tree oil & Tulsi protects skin from acne & fungal infections keeping skin healthy & glowing. The bathing bars are priced at 75 gm & 125 gm @ Rs55 &Rs 85 respectively and is available across all Dr Batra’s Clinics in India. The product is also available in Modern retail outlets such Big Bazaar, Spar, Stanmax, Health & Glow ,Auchan, Nilgris leading pharmacy chains such as Apollo Pharmacy,Religare, Wellness Stores, Medicine Shoppe and general stores. Dr Batra’s products are formulated & designed by doctors who have treated more than 1 million hair and skin patients. Dr Batra’s products are free from harmful chemicals like SLE and Paraben and are enriched with natural actives such as Thuja & Echinacea. DrBatra's Positive Health Products Limited was formed in the year 2001 which is a privately held company. DrBatra's Positive Health Products Limited is ISO 9001:2000 certified and has its Food and Drug Administration (FDA) approved manufacturing plant in Maharashtra. Dr Batra’s products portfolio consist of over 50 products in hair care, personal care and skin care. Dr Batra’s products are available at over 200 Dr Batra’s clinics and over 9000 leading stores and pharmacies in 125 cities in India and UAE.